Protecting the business ‘crown jewels’ and intellectual property is considered the main security challenge for digital enterprise processes today. In addition, global companies are also trying to understand how distributed IT governance can work efficiently with current block chain technologies. Many data security practitioners try to protect data in motion with traditional perimeter security, but only a few have data centric solutions that shield IP wherever it is used in a global IT environment. In parallel, many think that block chain can solve the challenges of distributed IT governance, but only a few have technology that goes beyond this and works without breaking global IT operations. 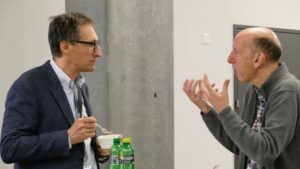 These and other relevant data security topics were discussed in depth at Hochschule Informatik, Lucerne University of Applied Sciences and Arts on Thursday, 14th March 2019. The evening event was organized by SECUDE AG with support from Microsoft and Keyon AG. 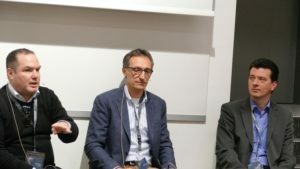 Over product demonstrations and an engaging panel discussion, participants learnt the reasons behind why IT security strategies are currently shifting to protect intellectual property while using it worldwide, especially in the case of CAD-based production chains. Participants discuss reasons on why IT security strategies are currently shifting to protect IP, especially in the case of CAD-based production chains. During a session on protecting data flows from SAP participants raised queries on how to control data flow out of the SAP data hub and the role of privileged access while relying on external operational services. A panel discussion on futuristic technologies. The event participants included CIOs, heads of IT departments and other senior data security practitioners from leading consultancy companies, IT service providers and product companies in Switzerland.